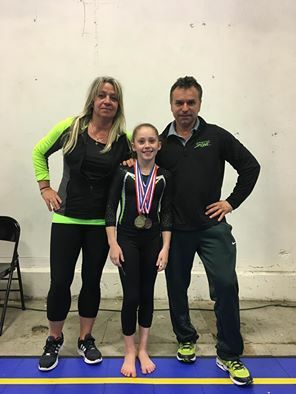 Rosie Urquhart was the big winner of the weekend when the women’s level 8, 9 and 10 Junior Olympic teams traveled to McClellann, CA to compete in USA Gymnastics Level 8, 9 & 10 State Championships on March 19 and 20, hosted by Byers Gymnastics of Roseville. Rosie Urquhart – sixth on vault, first on bars (State Champion), second on beam, third on floor and first all-around (State Champion) with a score of 37.400. 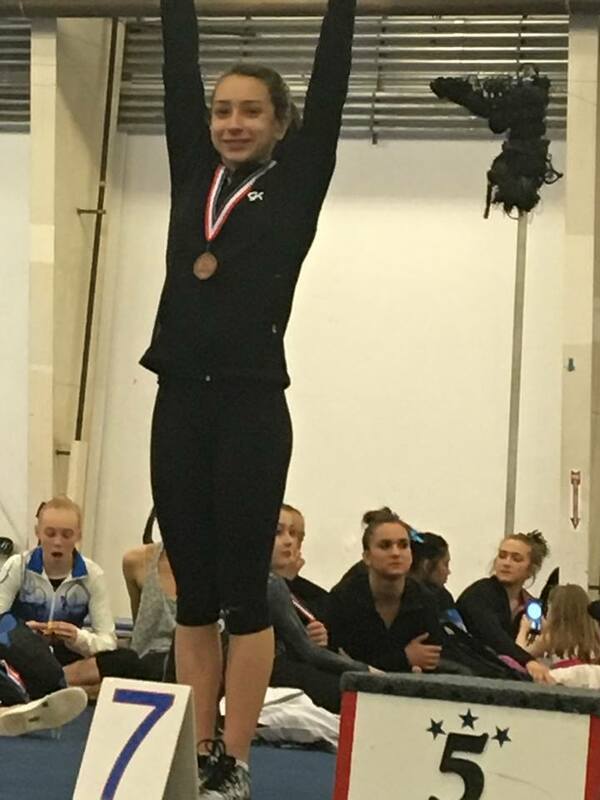 Katy Cordeiro – fifth on vault and fourteenth all-around with a score of 33.325..
Ariana Robertson (vault & floor specialist) – eighth on vault and thirteenth on floor. Savannah Nied (floor specialist) – eleventh on floor. Olivia Stewart (vault, beam and floor specialist) – third on vault, third on beam and ninth on floor. Thea Michovsky –fifth on bars, fifth on beam and seventh all-around with a score of 36.350. Urquhart and Michovsky qualified to compete at USA Gymnastics Region 1 Championships as all-around gymnasts. Robinson will compete vault, Nied, floor and Stewart, vault and beam at the regional championships. 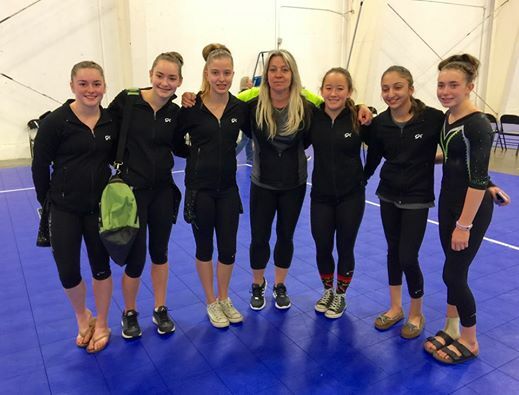 Regional Championships will be April 8 – 10 at the South Point Hotel and Casino in Las Vegas, NV hosted by Browns Gymnastics.